When it comes to the most tried and true deal for the M.S. chimney wholesale then Meta Therm Furnace Pvt. Ltd. is enumerated on the top rank. 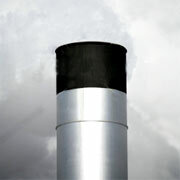 We are specialized in the manufacturing of industrial chimney which produces least poisonous smoke. We are one of the distinguished chimney manufacturers and suppliers, located in India. Self Supporting Chimney is fabricated with IS and 2062 M.S. Plate and complete with base plate, compression plate ash plate, heavy flange with the gasket, bolts, and nuts for connecting the chimney together and including cage type ladder and sampling point platform.